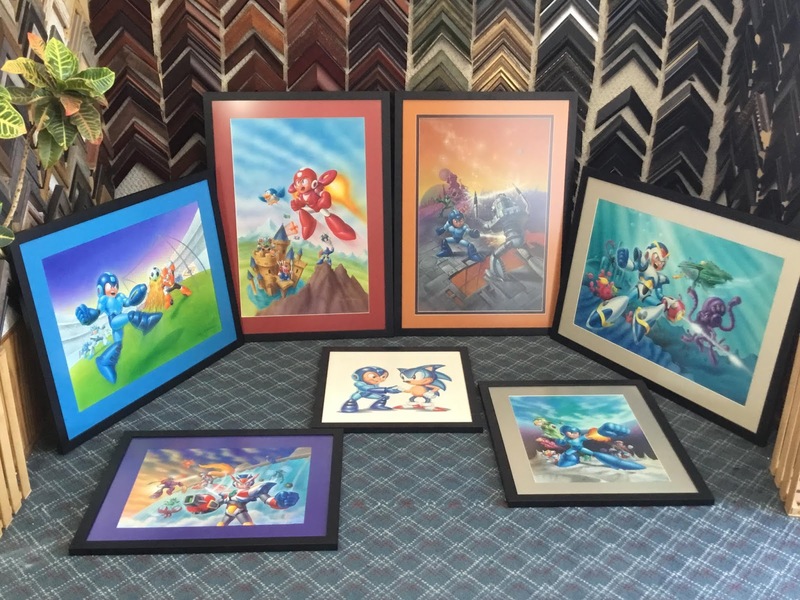 Adam Harvey's amazing collection of original Mega Man cover art will be on display at the Classic Console and Arcade Gaming Show in Cleveland next Saturday, July 21st. As previously reported, these are the actual paintings by Greg Winters which were converted into the US packages we all know and love. The paintings on display (from left to right) are Mega Man Soccer, Mega Man 6, Mega Man 3, Mega Man X, Mega Man X3, Mega Man & Sonic Game Players Magazine cover, and Game Boy Mega Man V.
Admission to CCAG is a cool $10 per day. More details at the official CCAG website here. I remember arts and they are ugly! You remember arts? What does that even mean? I like his MMV's art. "Mega Zingah-burgah Paaaaaaaanch!" Too bad we will most likely never have good quality scans of these.